With the upcoming presidential election, there have been numerous campaign videos highlighting the importance of voting – Joss Whedon’s star-studded PSA springs to mind as particularly memorable, along with the PSA where Katy Perry gets naked. People just let us know that there’s a new one for the #VoteYourFuture campaign, and it encourages people to “stop playing video games and Instagramming all your food,” get out there and register to vote. 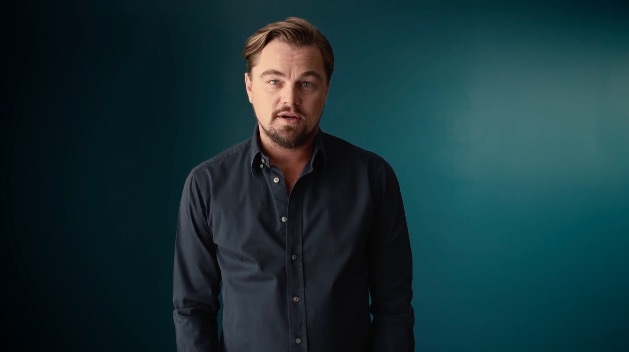 In typical fashion, this PSA is packed with familiar faces like Julia Roberts, Leonardo DiCaprio, Rami Malek, Zendaya, Juliana Marguiles, Samuel L. Jackson, Kendall Jenner, and more sharing some deeply personal stories that affect how they will be voting. They all share the same belief that voting for the best future you imagine is essential for every American. It raises an excellent point, because if you show up on the big day (November 8th) and you haven’t registered, it will be really unfortunate and embarrassing. So… being prepared is key! "If you don't change it, nobody else will. [...] You're the boss, so hire the right person to make this country what you think it should be." As the video describes, caring about crucial issues such as education, health care, gun control, climate change, bullying, equality, LGBTQ+ rights, and immigration (i.e. all the things that affect people on the planet) – means having your voice heard in the election. We hope that you hear this message as loud and clear as we do and if you want to watch extended cuts of your fave celeb testimonies, stars like Sarah Hyland and Emma Roberts have begun posting their own stories on social media.